This card is totally gorgeous, it has a bit of everything and I can't say it is going to be a quick card but I can say it is a 'Humdinger!' and anyone who receives it will keep it forever.. 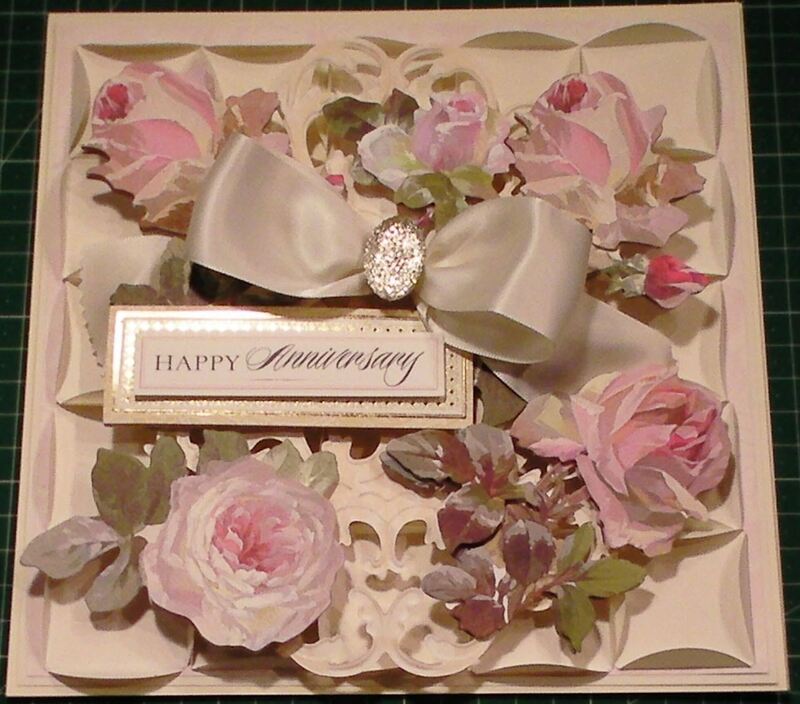 The card has a paper folded quilt style background made from the Anna Griffin Paper Tricks2 kit and this creates something stunning for the 3D flowers and sentiment to sit on, as well as the glitzy bow & embellishment.. perfect for something large and if you ever wanted a card to make a statement, then this one will. This would be fabulous as a Wedding Card and you would definitely need to put it in a box rather then an envelope.